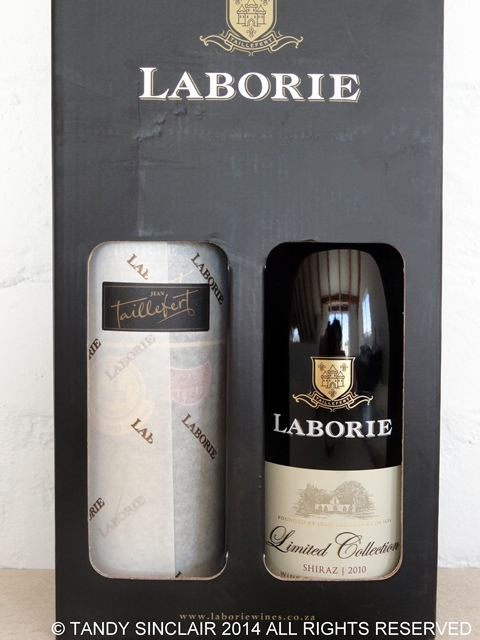 The Paarl Wine Route gifted me two bottles of wine from Laborie which is one of the estates we visited last year. Together with the two bottles of wine I have also been given two tickets to Ommiberg which is taking place on the weekend of the 8th and 9th of March. As Dave has decided to start racing again I won’t be able to attend Omniberg but I don’t want you to miss out on a superb event. rides through the vineyards and test their wine-making skills by creating their own blends. Also on offer are cooking demonstrations, art exhibitions, live entertainment, cellar tours, jumping castles, slippery slides, pony rides, face painting. With more than seventeen wineries to choose from visitors will be spoilt for choice. The value of the tickets are R80 each. Guests must be over the age of 18 and the ticket includes a wine glass, access to and tasting of young wines at all participating wine farms. Disclosure: I was sent the bottles of wine as a gift and the tickets to either use myself or give away. This disclaimer is in line with my blogging policy. I am new to Cape town an is exploring all the wine esttes> have been to Laborie doing the chocolate and wine pairing – fantastic!!! would love to ecplore the regio furhter! This year, I would like to visit Laborie!! Ummm, Laborie? 🙂 Sounds like a good family day out. And I can be the designated driver. Thanks for entering Joanne. Sadly you did not win the tickets but hope you go in any case! I wish I were visiting Nz and could take a wine tour! I just realised the wine you sent me a while back has not arrived. Hope it wasn’t enjoyed by somebody else en-route. Sorry if you thought I was being rude by not saying thank you!